In last week’s Business Day one column, I did you all the great service of introducing some of the lesser known American League All Stars to the blog reading public. And this week, as promised, I’ll do the same with the National League. Apparently, AAAA Baseball has stars too! We’re all fairly familiar with the suddenly ageless Chipper Jones and ocassionally creepy looking Alfonso Soriano, but there are quite a few players that are separated from the public by a thirty foot high wall of apathy. Let’s take a look at a few. -Astros first baseman Lance Berkman coined his own nickname: The Big Puma. This replaced his old nickname, which was Fat Elvis. -Marlins shortstop Hanley Ramirez is, according to his own website, “an incredible father,” has Denzel Washington as his favorite actor and a Lamborghini Murcielago as his fifth favorite car. Really, just fifth? -If you want to get to Ashland, Kentucky, you may need to drive on Diamondbacks pitcher Brandon Webb. Or, more specifically, a highway named in his honor. -Brewers outfielder Ryan Braun is involved with Affliction Clothing, a fashion designer out of California that apparently outfits the scariest and deadliest looking men on Earth. Not tough enough? 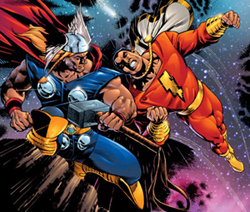 Well, he’s also called the Hebrew Hammer by at least one guy. -Other Brewers outfield Corey Hart is apparently quite an accomplished singer in his spare time, releasing the famous pop hit “Sunglasses at Night” back in the 1980s. He’s sinced toured the world and… wait… different Corey Hart? Hmmm. Well this is awkward. -Ok, I’ll get it right this time. Dodgers catcher Brian Wilson was widely regarded as the creative force behind the Beach Boys and… SON OF A… sorry. There’s a term I use when discussing baseball called The Fantasy Fandom Factor. The basic premise is that there is a multi-tiered hierarchy of Major League ballplayers: (1) The Guys You Know and Love Because They’re On Your Team, (2) The Guys You Know and Perhaps Love Because They’re Really Good, and (3) The Guys You Know Merely Because You Play Fantasy Baseball. As recently as fifteen years ago (before fantasy took over the national consciousness), even diehard MLB fans had no idea who anyone outside of the top players were outside of their home team’s division. But now, these diehards have a vested interest in knowing who everyone is; it helps them win their fantasy leagues and garner the nerd-cred that comes with it. Unfortunately, this gives rise to a new problem. Fans know who these Category Three players are, but only insofar as their names, teams and stats. They don’t know who they really are, deep down, below their slugging percentage. Are they nice folks? Do they have kids? Where are they from? Have they nailed Madonna? As I was perusing the MLB All Star Game rosters, I realized there are a lot of Category Three folks that got the nod this year. 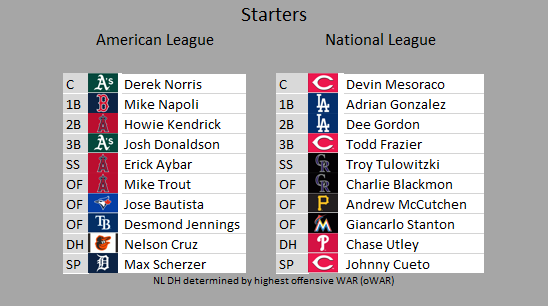 And since I’m in the business of helping you, the readers, I’m going to give you all a crash course on the roster so you can adequately wow your friends at your rockin’ All Star Game party. 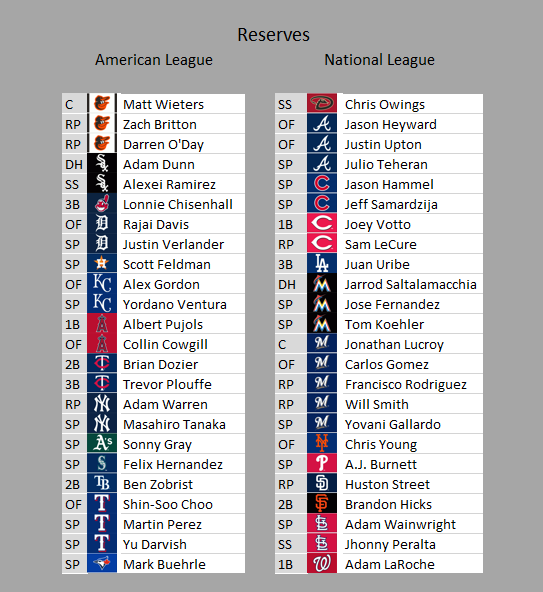 We’ll start with the American League Roster, and maybe if you’re lucky I’ll do the NL next week. AL Roster – Category 1 and 2: Alex Rodriguez, Derek Jeter, Kevin Youkilis (being called the Greek God of Walks in a major book will bump you from a 3 to a 1), Manny Ramirez, Ichiro Suzuki, David Ortiz, Mariano Rivera, Scott Kazmir, Grady Sizemore, J.D. Drew (no one forgets a battery storm). -Angels Pitcher Ervin Santana was originally named Johan Santana, but changed his name when the other Johan Santana started demolishing baseball with the most unfair change-up in history. He changed his name to Ervin because it sounded cool to him. -Diminutive Red Sox Second Baseman Dustin Pedroia can be an emergency catcher in the case of some gruesome Jason Varitek-Kevin Cash collision during warm-up laps. -Rangers Second Baseman Ian Kinsler, like Pedroia, went to Arizona State for a little while. When not crisping in the sun, he enjoys a spirited round of golf. Which involves more crisping in the sun. In related news, someone should buy him sunscreen. -Royals Pitcher Joakim Soria has the greatest active baseball nickname: The Mexicutioner. Unfortunately, only the 20 people that live in Kansas City know it. -Rangers Centerfielder Josh Hamilton battled drugs and alcohol for years before willing himself to go clean. Even now, he is racked by dreadful dreams or his dark time. When not clobbering baseballs, he goes on the road as a public speaker. -Rays Catcher Dioner Navarro, who I’m making a pitch to be called The Venezuelmageddonator, is one of the best young catchers in the game. That’s some feat, considering that fate has been absurdly cruel to his family this decade. Go, baseball fans. Armed with this knowledge, please look at these players are more than simply on-base machines for your fantasy team. They are your All Stars, so enjoy them for who they are and what they do! The Boston Red Sox are on a historic tear, 12 10 games ahead of the Yankees. The fans have been behind the team with record support. The bullpen’s contributing, the new call-up players are fan favorites. And we’re 12 10 games ahead of the Yankees. How sweet it is, right? As of July 10th, 2007, the Boston Red Sox are 53-34, having gone 5-5 on their last ten. As of last year’s All-Star Break (July 11th, 2006), the Boston Red Sox were 51-32, having gone 6-4 on their last ten. They ended the season 11 games behind the Yankees, in a slump that most fans were ashamed to be seen watching. The moral, as always: it ain’t over ’til it’s over. When I did debate in high school, we’d play Hearts in the long idle hours between rounds. Our debate coach Mr. Durkin taught us the game and he was never too big of a man not to whup our asses at the game soundly. The trick to pro-level Hearts play is to count the cards (not hard with just one deck) and know what tricks are still out there. He made it look easy. In games where it wasn’t even close, Mr. Durkin would lay down his last five or six cards and just play them blind. Flipping them over lazily one at a time, sending freshmen back to his room to grab beer out of the sink (“and I counted how many are in there”). One or two of us would try the same stunt when we felt cocky, almost always blushing and fumbling the cards back up once we realized we’d counted wrong. Let me remind Red Sox Nation, high on the thrill of an early lead, the same thing I remind them every time they end the summer down: they don’t play the World Series in August. Don’t start folding your hands behind your head just yet. Don’t start buying that Jordan’s furniture. Don’t throw your cards down and play them blind. The season’s young. Anything could happen.